Pinterest is the fastest growing Social Network Today According to official source, Pinterest is becoming the latest trend in social media. Pinterest have attracted millions of audience just under the nose of top rated social networking websites like Facebook, Google Plus, Twitter and etc. And just like other social networking platform, everyone is rushing towards registering there account on Pinterest to discover what the buzz is all about. The biggest reason behind the success of Pinterest is its uniqueness. Instead of writing boring content it uses images and videos. It allows users to Pin any featured image or video to their virtual pinboard. Users who are your friends or followers can like or even repin your shared content to their Pinboard. You can arrange your pins under specific pinboards (categorize) according to your need. So to insert a follow me button you don’t need any extra working like adding CSS to template. All you need to do is to place simple HTML coding any where in your blog i.e. In your Sidebar, Header, Below post and etc. 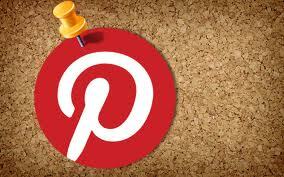 Just paste the following code where you want to display Pinterest Follow me Button. Remember: As I have mentioned above don’t try to edit the coding just do as directed. If you try to do some change then the scripts will not work. So to insert Pinterest “Pin It” Buttons to Blogger . When you will click on any Pin it button a new window will pop'd out. Now from here you can select any post that you want to pin. The visitor can pin one image at a time. If the visitor don't want to pin any image then he can click the Blue Cancel Bar at the top to cancel pinning. if you want some suggestion comment it right now, Stay tuned by subscribing our email feed or follow me on social networks. thanks for reading our post. happy bloggin........!!!!!! Thanks for reading this ! We have more amazing articles Kindly visit our sites .